Tired of eating eggs? 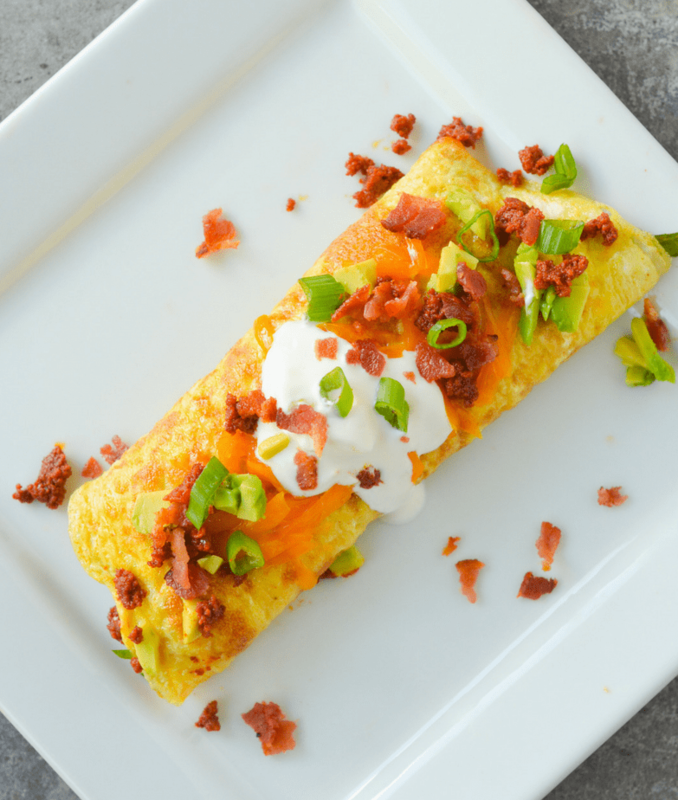 This Keto Chorizo Omelette will make your breakfast egg-citing again! 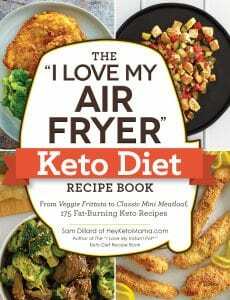 Eggs are a staple of the ketogenic diet. They are very inexpensive (my Walmart sells 60 eggs for $2. Can you believe that!? ), very healthy, and very tasty. But eggs can get boring. Luckily, they’re also very easy to customize! 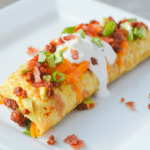 Cheesy, Spicy, Meaty, Hearty, it is such a yummy breakfast with excellent macros. Chorizo is completely the hero of this dish. It makes for a unique, spicy flavor that will get your morning started off right. Who am I kidding? I could eat breakfast for any meal and every meal! 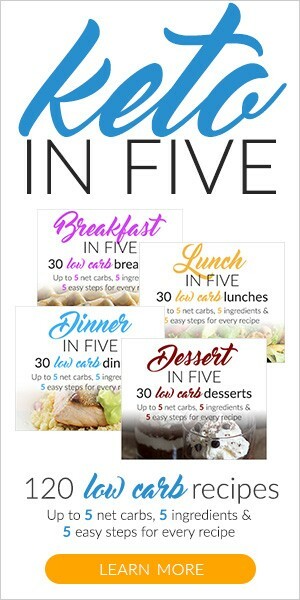 I think you’re going to love how easy this recipe is to make. One thing you might consider doing is cooking the chorizo first, then making your eggs in the same skillet to soak up some of the flavor leftover from the spicy sausage. Remember to drain the excess grease before assembling the omelette…there’s likely going to be a TON of it. 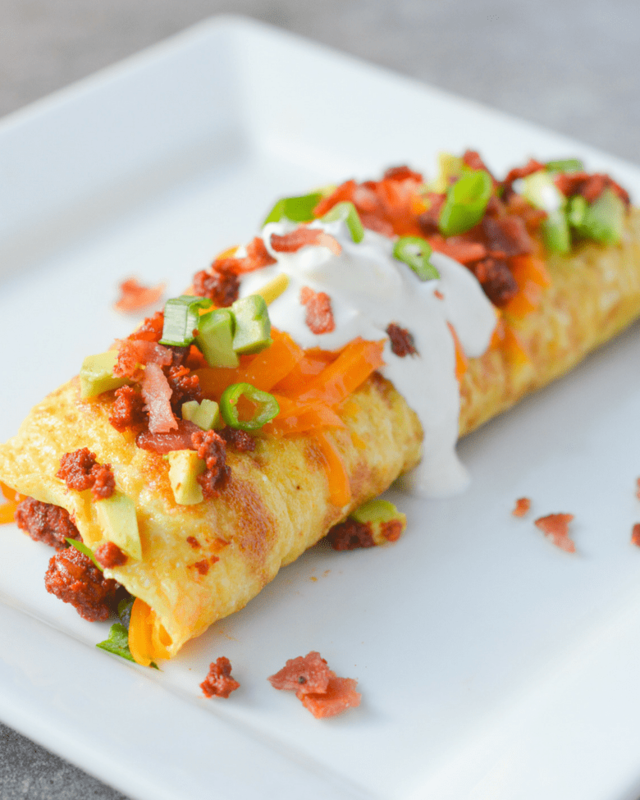 I loaded my omelette with onions, spinach, and chorizo, then topped it with more chorizo, sour cream, avocado and bacon! In a medium bowl, whisk eggs, spinach, heavy whipping cream, and onion. Restaraunt worthy! Make sure you add the whipping cream to your eggs. Your pictures came out really nice on this recipe! The colors are bold and they way the sour cream drips down the side looks awesome. 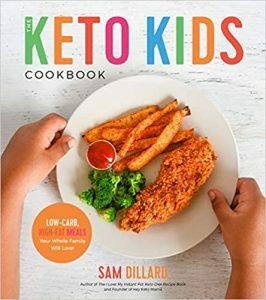 I’m going to include this recipe in my Keto Omelette Ideas round-up. You’ll be linked to and fully credited, of course! Loved it, my husband did too, but I actually used two eggs per omelette and substituted some chopped fresh kale from my garden for the spinach and some chopped asparagus. But did the rest of the recipe as suggested. This is to die for. Sooooo yummy ???? my omelette fell apart and so it was more of a scramble but that did not affect the amazing deliciousness of this recipe. a 1,000 thank you’s would still be insufficient. Sounds great can’t wait to try it!